Celebrations in Fetlar as north isles councillor Josie Simpson cuts the first turf for the long awaited new breakwater and pier facility. 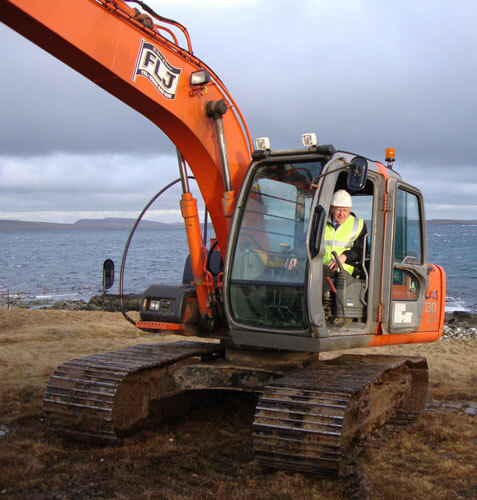 Commenting on the days events, Robert Thomson, Development Worker with Fetlar Developments Ltd said that, the whole community were delighted that the long awaited project to build a pier and breakwater in Fetlar had finally started today. This facility once completed, will without doubt have a very significant impact on the island, both in the short term and on the islands long term sustainability. Having the ferry based on the island will offer more efficient use of both the ferries and crews, as well as safeguarding jobs. 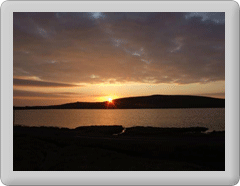 The new berthing face will offer new opportunities in the marine sector from which Fetlar has previously been excluded. It has despite the best efforts of the weather to the contrary, been one of the brightest days in Fetlar for many a year.